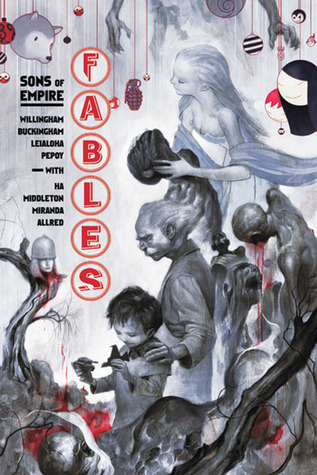 At the pool yesterday I read two graphic novels from the Fables series, 1001 Nights of Snowfall and Sons of Empire. 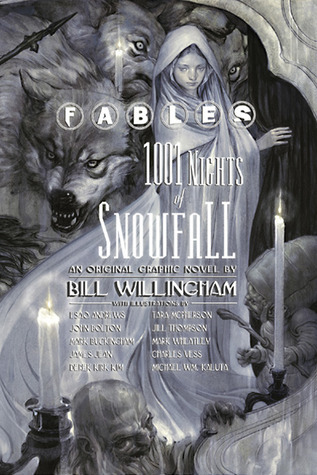 Both of these were good, 1001 Nights of Snowfall doesn’t really contribute to the story arc in the sense of pushing it forwrad but it does give background on Snow White and Rose Red as well as other regular Fabletown and Farm characters. It also connects with the Arabian fables and Sheherazade. Really well done story of the witch of Hansel and Gretel fame is included here. Good read for fans of graphic novels or who like fairy tale adaptions. Sons of Empire gets back to the current story arc and in it we get to see what is happening with the adversary and with Bigby and his family. We also get a back story for Bigby, who is my favorite character so I quite enjoyed this one. As always, the artwork is well done. In this volume, the tension is building for confrontation between the adversary and the refugees. There is also a charming Christmas story in this volume that I enjoyed. Another good read for fans of graphic novels and the series. 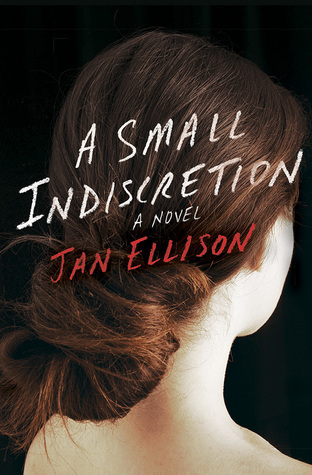 A Small Indiscretion was a Goodreads recommendation for a fans of Gone Girl and the like. The book starts out with the severe injury of Robbie, Annie and Jonathon’s adult son. He is in a coma and throughout his recovery we learn that Annie and Jonathon are seperated due to some indiscretion in London on Annie’s part. We also get some sense of foreboding surrounding Emme, a friend of Robbie’s and an employee of Annie’s. The book flashes back to beginning of Annie’s story revealng over time what she did and how it had far reaching effects, right up to her son’s accident. This started out strong and sucked me in. I was making dinner and running back and forth to read a few pages between steps, but somewhere in the middle it lost me. I don’t know whether I have been reading too many Gone Girl-esque style books so this just seemed like more of the same or the fact that the “twist” was obvious fairly early on. I would say that it is more family drama oriented than thriller, but it just fell a little flat for me.